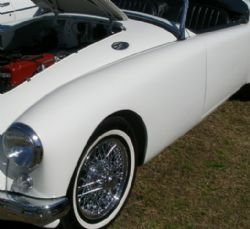 Do you know the differences between a MGA or MGB assembled in Australia to those built in the UK for the US market? Sure one would have been left hand drive and the other right hand drive, but that’s obvious. There are plenty of differences and Stuart Ratcliff of the MG Centre of Sydney knows what they are. For instance Stuart knows that Australian built cars were originally painted in differing colours and he also knows the paint numbers as well. Australian built cars also came with different badging and of course he is fully aware of those differences. 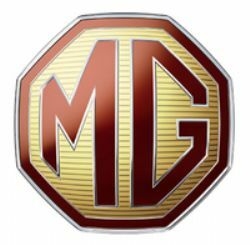 Ask anyone who has been around MG's for a few years and they will tell you that if they want to talk to someone who knows MG Speak then Stuart and Sally Ratcliff are the people to speak to. Stuart, after starting his automotive career as an apprentice working on classic cars, soon found himself working with the renowned Classic Autocraft, before setting up his own business specialising in Triumph and MG sports cars. He then went on to form Panelcraft, catering for the restoration end of the market. The name of Panelcraft soon spread, as did his own and soon the workshop was wall to wall with desirable classic cars, especially MG's. Throughout his automotive career Stuart found himself leaning towards the marque from Abingdon and while restoring MG's he built up his own level of expertise as to not only how to repair and restore, but also what was originally correct and otherwise. He also recognised the need to supply quality parts for the increasing number of later MG's that were being imported, restored and enjoyed by local enthusiasts. So back in 1994 he established the MG Centre of Sydney located in Granville. 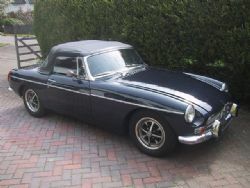 Its aim was and still is to specialise in the finest quality spares for the MGA, MGB and Midget as well as the repair and servicing of classic MG's. In the early days agreements were reached with organisations such as Heritage MG for the supply of parts and over time Stuart, now assisted by wife Sally source their parts from overseas and within Australia. Specifically for overseas the majority are supplied by Moss Motors and the arrangement is so streamlined that if a specific part is ordered by Friday, it is in the customer’s hands the following Thursday. As mentioned, while Sally is busy with the spares, Stuart is making sure that customers’ MG's are being serviced and repaired correctly. From servicing, to engine rebuilds, to fixing window winder mechanisms Stuart is delighted to roll up his sleeves and get it done correctly, not only for his customers, but also for his own personal love of the MG marque. In addition to caring for A's, B's and Midgets, the MG Centre of Sydney is also the only organisation in Australia that offers compliance certification for the MG RV8. 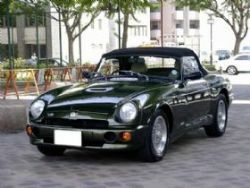 Released by Rover in 1992, the V8 powered and MGB styled RV8 proved to be highly popular in Japan. It was through a client based in that country that Stuart realised that low mileage examples of the RV8 were available on the Japanese second hand market. Not long after, Stuart took the first tentative steps of importing a small number under the Low Volume Scheme for our market. Some years later, numerous RV8s have entered the country and the MG Centre of Sydney had been accredited by the Australian Department of Transport under the RAW Scheme, standing for Registered Automotive Workshop. This accreditation has now been extended to also include the MGF. Stuart told Classic Car Gurus that to ensure that the RV8 complies with Australian compliance laws he fits extrusion bars, high mounted rear brake lights, additional dash lights, a catalytic converter and a whole range of little things. He also finds that prior to being imported, the majority of cars have been sitting idle for some time, meaning that a number of components require refurbishing. While he no longer directly imports the RV8 Stuart did find that during 2008 he ensured a total of 20 examples complied with Australian requirements. Over the years Stuart and Sally Ratcliff have built up their reputation amongst MG owners, not only through personal service, but also through excellent repairs from servicing to concours preparation. Stuart is also a life member of the MG Car Club.